Scott Huish is a founding partner and Managing Director at HighStreet Capital. Mr. Huish has been an entrepreneur, founder, and corporate director in a number of companies. Mr. Huish has dealt with all stages of technology development and corporate growth, both as an entrepreneur starting and growing companies, as well as being brought in as a consultant, business development expert, board member, or an investor. 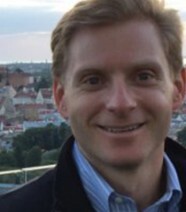 Mr. Huish holds a BS in Finance from Arizona State University and an MBA from the University of Oxford, where he was a member of Christ Church College.